In FireForge you play a blacksmith, working and molding metal to your will, using tools and FIRE, each hammer-hit precisely positioned. 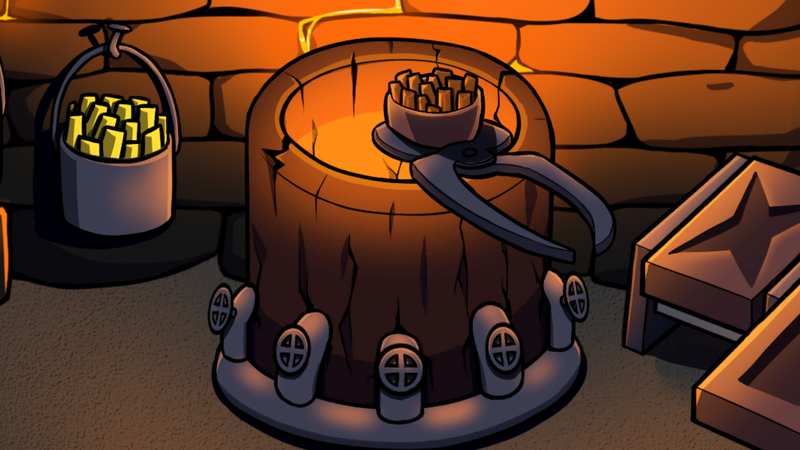 The art of blacksmithing has nothing to do with strength and everything to do with control. 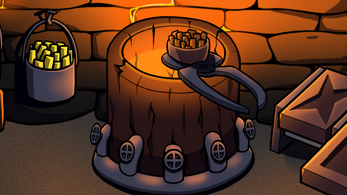 What will bend first: you or the metal? 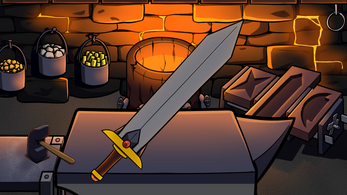 There are several weapon archetypes you can choose from. You will have to mold them in to all the finished items, each have a different and unique molding process. There are also different metals to work with, each reacting differently to your hammer. 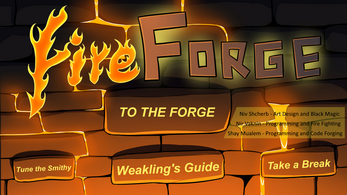 Learn all the different metals and items to MASTER THE ART OF THE FORGE! Use Q and E to mold your raw material, don't forget to lay down your hammer from time to time to consider how to proceed. In metal as in men, there are no mistakes, only second chances. To play just download the zip, extract it, and click the .exe file. 28/3/17 - First beta update: Bugs - crushed, Crashes - no more, Fun - yes more. For everyone that decides to download and play this game (which i have zero idea why you would), ill give you what i have learned. 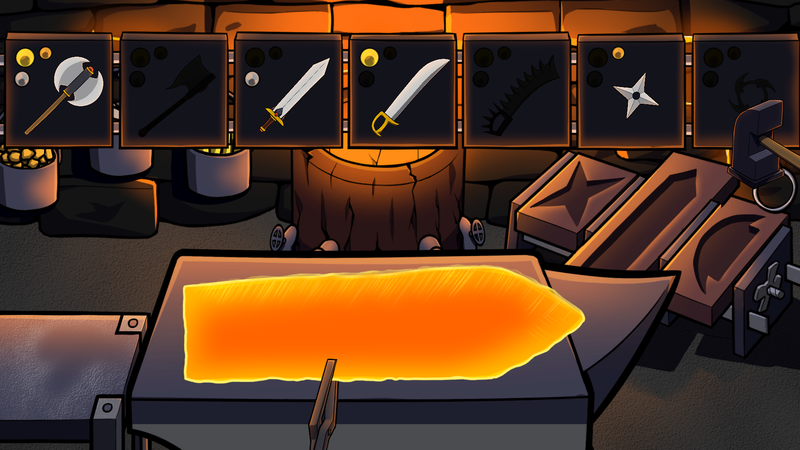 for starters W,A,S,D controls where your "hand" or what you care to call it moves, Q and E are used differently between each station (i do not know what they do at the ore picker or the mold selection that is for you to find out), during you hammering out your new blade or throw-able weapon Q is used to mold it and actually make it take its shape which can sometimes cause the hot metal to crack, this is where E helps. E is used as a "soft hit" so to say and brings the metal slowly back from after you hit it so much with Q, this means it can correct accidental cracks you made hitting it a little too hard. 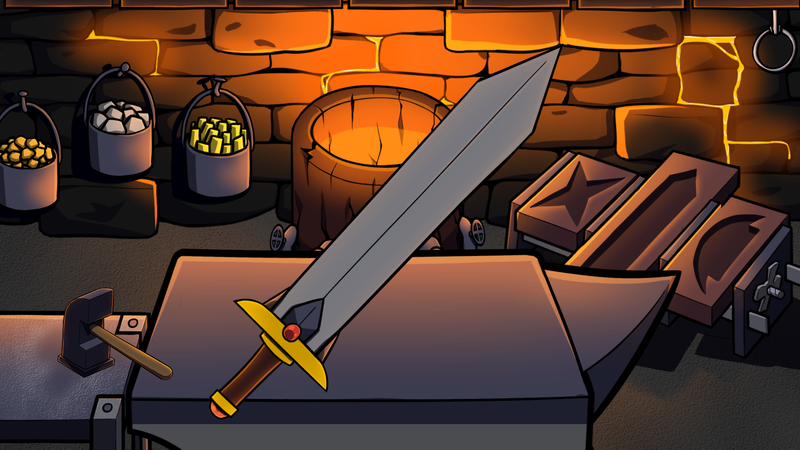 when you are done, simply move the hammer over to the right of the anvil and press Q, this is where the blade will be cooled and will show you where you have hit things too hard or left them too soft(i couldn't tell the difference myself so that is also left for you to find out). This is where i believe the game is most flawed, if you have the slightest too soft or slightest crack in the blade, it will make you try and repair it over, and over again to no avail if it is just the smallest part cracked or too soft. In the very end the game is decently made but for sure needs some modifications i hope anyone that downloads it sees this and gets more enjoyment out of it then previous down-loaders. 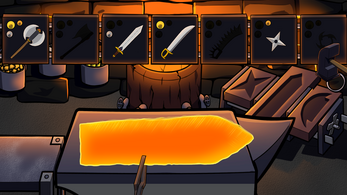 now get making blades blacksmith! It's a shame that we can't use the mouse to play, also, an actual tutorial would be nice. Otherwise it's a damn nice game.